374 pages | 25 B/W Illus. 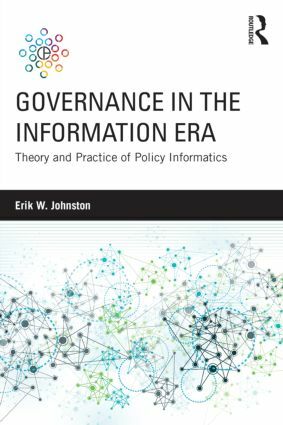 Policy informatics is addressing governance challenges and their consequences, which span the seeming inability of governments to solve complex problems and the disaffection of people from their governments. Policy informatics seeks approaches that enable our governance systems to address increasingly complex challenges and to meet the rising expectations of people to be full participants in their communities. This book approaches these challenges by applying a combination of the latest American and European approaches in applying complex systems modeling, crowdsourcing, participatory platforms and citizen science to explore complex governance challenges in domains that include education, environment, and health. Erik W. Johnston is the Director of the Center for Policy Informatics at Arizona State University and an Assistant Professor in the School of Public Affairs. He also holds joint or affiliated positions in Applied Mathematics for the Life and Social Sciences, the Center for the Study of Institutional Diversity, the School for Social Dynamics and Complexity, and the Decision Theater.